I know that I’m late with this Easter post, but I don’t really care. If this actually gets published and doesn’t live the rest of the its existence in my drafts folder I will be one very happy woman. 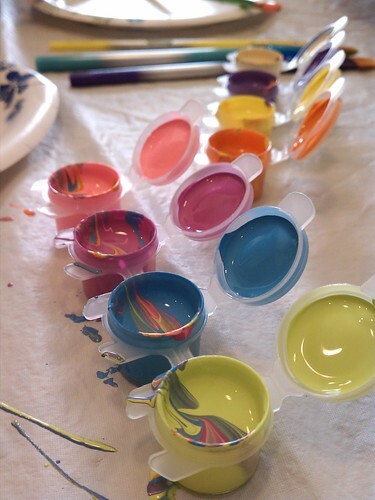 Last year we had started out dying eggs for Easter, but very quickly we realized that red solo cups of dye are boring and spill very easily (I’m pretty sure I spilled two cups) so I tossed all of the colored vinegar water and changed tactics. 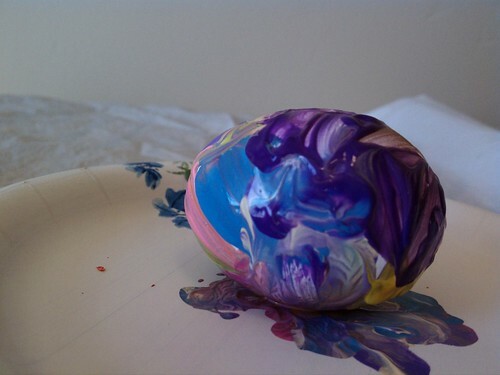 I got out our painting supplies and we painted eggs. It worked out great so a tradition was born. 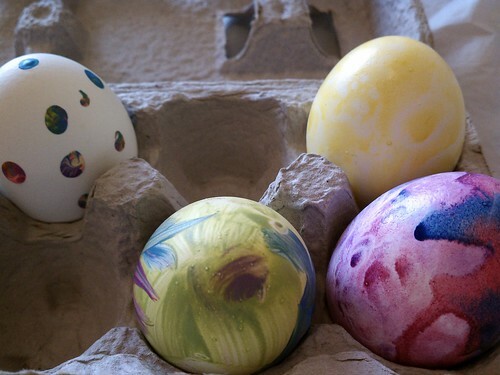 This year I wanted some pastel colors for the eggs and had a very hard time trying to find pastel paint. Finally I found some little pots of pastel-ish colors at Michaels and decided that they would have to be good enough. 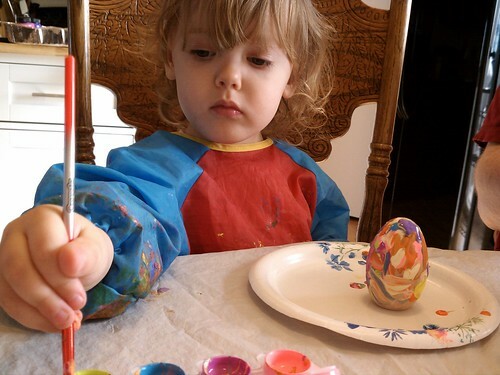 The Saturday before Easter Waldo, Lily and I sat down and started painting eggs. 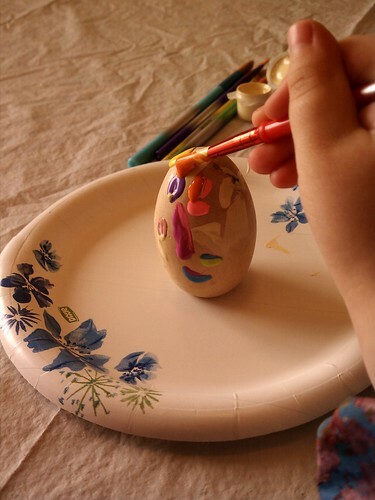 First I had Lil paint her 2012 wood egg. This is a idea I stole from my friend Amy, I love it. 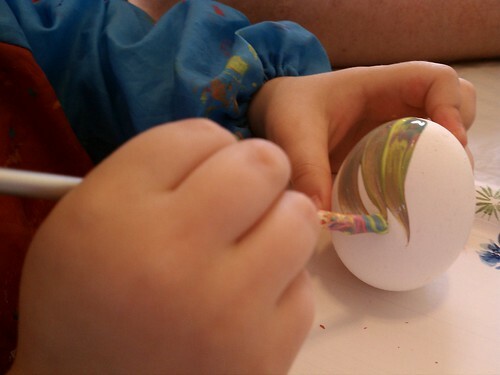 This way I’ll have an egg for every year when she’s all grown up. I love how every stoke of the paintbrush was very deliberate. 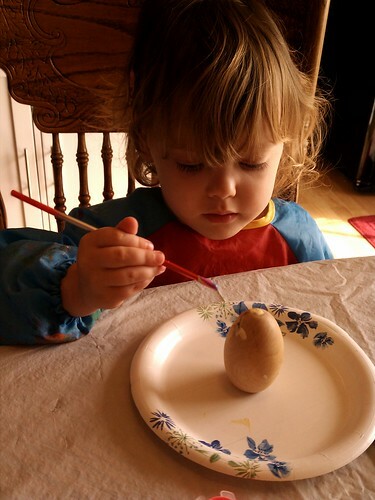 After her wood egg was done we all got going with the regular hard-boiled eggs. 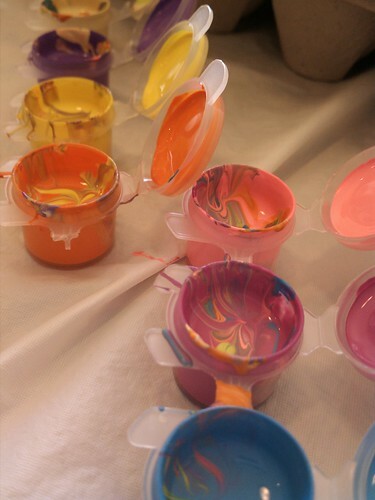 I love how the paint pots looked after a little painting. 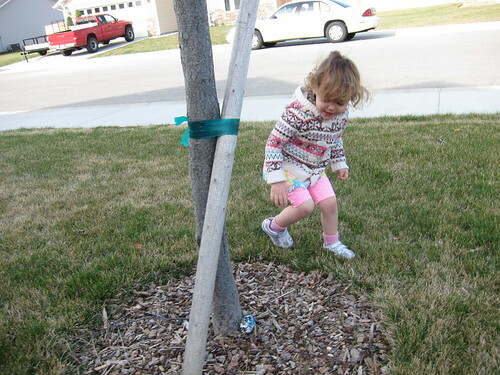 Easter morning I hid the eggs in the front yard and Lily had a lot of fun searching for them. Once and halfway through she got cold so I put a sweater over her cute new outfit. 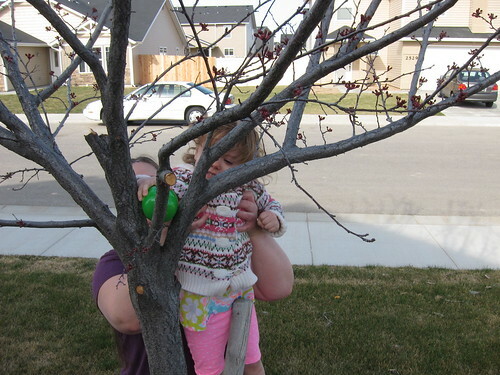 We don’t celebrate Easter other than to hide and seek eggs over and over and over and over again. For us it was the perfect day. 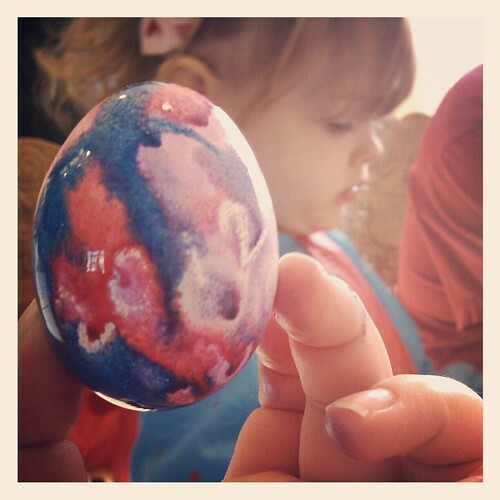 This entry was posted in Arts and crafts, Fun, Holidays, Lily, Us and tagged Holidays, Lil, Us.